Climbing towers is probably one of my favourite things to do when I’m on a city break – there’s just something about racing to the top to discover breathtaking views of the city below you and viewing it from every angle possible. I didn’t get chance to climb the 343 steps of St Stephen’s South Tower during my visit to Vienna, but I saved my little legs and instead was able to take an express elevator up to the top of the North Tower to capture the most stunning views of the Old Town below. Although the South Tower is the highest point of Vienna’s inner city skyline, and the views are supposedly slightly better, I really enjoyed my visit to the North Tower and even caught a glimpse of the largest bell in Austria, The Boomer Bell, which has resided in the tower since 1957. This was somewhere completely off the beaten track and really unexpected but I am so glad I got chance to visit this pretty place whilst I was in Vienna. Lucy had seen photos of Hundertwasser all over Instagram, but I was yet to lay my eyes on it so had no clue what to expect when we set off on our wander through the city to try and find it. After a few wrong turns we came across our desired location and we soon fell in love with this place – I’ve never seen anything like it! Essentially it’s just a residential block of flats with a small shopping centre directly opposite, but the design, style and architecture is incredible and made for the most amazing Insta shots. Austrian artist Friedensreich Hundertwasser founded the site, which has now been turned into a museum and is visited by thousands of tourists annually. I think the building was really reminiscent of iconic Spanish architect Gaudi, and Hundertwasser looked a little like Park Guell. I just feel a little sorry for all the residents who have to go about their normal everyday lives whilst the cameras are constantly clicking, but if you get chance I’d 100% recommend stopping off here for a few minutes! After a busy day of exploring it was nice for us to sit down, rest our feet for a short while and just enjoy the ambiance of Stadt Park, a gorgeous green space right in the heart of the city. With flowers, trees, ponds, streams and local wildlife to look at, this place offered some respite from the hustle and bustle of the city centre and was well worth a visit. We cut through Stadt Park to reach Hundertwasser Village and the walk was gorgeous. … and finally, no trip to Vienna would be complete without visiting all of the big three palaces, so ticking the stunning Hofburg complex off your list is an absolute must! With so much history and culture to discover, taking a trip to all of these palaces will help you to fall in love with Vienna even more. I always try to indulge in some local cuisine when I’m visiting a new city, and as it was my first time in Austria, I couldn’t wait to see what would be on the menu! I have to admit, I wasn’t as adventurous as I normally am when travelling, mainly because I was a bit limited on funds and short on time, so mostly just wanted to eat quickly before getting on with exploring! I did however get chance to eat chicken schnitzel for dinner and traditional Viennese sausages for breakfast which were a particular highlight. Sadly I didn’t get chance to sample any of their world famous apple strudel.. but there’s always next time! I’m slightly biased as I stayed in this area during my time in Vienna – you can check out my hotel review of the amazing 25 Hours Hotel to find out why it was so great – but I would definitely recommend basing yourself near to the Museumsquartier area if you can! This place made such a good base for us as it was so central, close to the metro/bus/tram stops and there was so much to see and do within the district itself. Brimming with shops, cafe’s, bars, restaurants and, of course, museums, this part of town is edgy, lively and will certainly keep you busy during your visit to Vienna. I’ll go into more detail about this below, but I cannot stress how important it is to use public transport during your time in Vienna. The city is ENORMOUS, and you’ll barely even scratch the surface if, like me and Lucy, you only have two full days there. I did get to tick off all the landmarks I wanted to see, but still feel like we saw barely any of the city despite exploring as much as we possibly could. The transport systems in Vienna are amazing, so take advantage of them, whiz from place to place and see as much, or as little, as you want to see there whilst allowing your legs to rest while you’re chilling on the tube! This was an absolute MUST for us and we couldn’t have been without them during our trip. These city cards, from the lovely team at the Vienna Tourist Board, gave us free public transport to anywhere in the city, on the trams, metro and buses, and enabled us to go as far and as wide as we wanted. Vienna is such a huge city and it’s impossible to see it by foot, so these cards were a godsend and I’d 100% recommend them to anyone visiting the city. So there we have it, my travel guide to Vienna. For the best possible experience I’d recommend using different methods of transport to get around, such as the metro, buses and trams, and you can walk to some places too, depending on where you’re staying. The city is huge and you’ll find it difficult to see everything without using the metro to get from place to place, but I always think it’s boring just being whizzed around on the underground, rather than appreciating the beauty of the city from one of the open top tourist buses! I have to admit I felt a bit like this during my time in Vienna and it kind of spoilt it a little – we were so pushed for time that we had no option but to use the metro, but I just felt like we were whizzing from place to place just to tick certain landmarks off, rather than spending time getting lost down side streets and discovering quirky, hidden areas of the city. Overall though, I did think Vienna was absolutely stunning and I saw as much as I wanted to see during my short time there, but I just wish I’d got to really immerse myself in the city a little more. Hopefully this post inspires you to think about choosing Vienna for your next city break, and will leave you wanting to explore one of the most famous places in Austria. Have you ever been to Vienna before? Tell me what you thought of it, I’d love to hear your comments! Thank you to the wonderful team at the Vienna Tourist Board for our complimentary city cards for the duration of our trip. This is literally what I have been saying to myself over and over in my head all day. I can’t believe it’s been three years since Journeys with Jessica was born. I can’t believe it’s still published. I can’t believe it’s grown from what it was to what it is now. I also can’t believe how I, as a person, have grown from what I was, to what I am now. If you’ve been with me from the beginning, you’ll know that I went through the toughest time of my life three years ago. On one day back in January 2014 my life as I knew it totally changed forever. I won’t go into all the details cos you guys have probably heard it all before and are starting to get bored (I know I am), but having my heart broken completely turned my world upside down. For three months I was a complete wreck; I didn’t eat, I didn’t sleep, I barely had enough energy to get up in the morning. I had no motivation, I had no interest in anything and I just didn’t know how to pick myself up and feel better. My health worsened, my medical condition was dragging me down, and I really couldn’t see the light at the end of the tunnel, I hit rock bottom and didn’t know where to go or what to do. There was nothing my friends, or my family, could do to make me see that I needed to start again, that I needed to move on and that I needed to find a purpose, until I started my blog. Blogging gave me a purpose, it gave me a reason to get excited, and it made me realise I could have a life again. When I booked a spontaneous trip to Barcelona with my two best friends I started to write this blog. At first I wrote about my upcoming trip, then I wrote about the trip when I got back, then I started writing about trips I had been on in the past. Then I booked a trip to Majorca. Then Reykjavik. Then Prague. Then Budapest… The list goes on and on, and it’s there that my love for travel, and blogging, was truly born. Back then I could never have imagined that my blog would gain a readership, or a social following of over 5000 users, or attract messages from anyone other than my friends and family. Back then I could never have imagined that my blog would one day be a source of income for me, or that I’d get invited on press trips or attend special events. Back then it was just a hobby, something for me to do when I was bored, or when I wanted to let my creative energy pour out, but now it’s my whole life. Fast forward three years and my blog is the best it’s ever been and I, in turn, am the happiest I have ever been. My blog has been nominated for an award, it’s received press coverage, it’s racked up thousands upon thousands of views, and it’s made me actual real life friends with fellow bloggers from all across the world. Without my blog I don’t think I’d have had the motivation, or the encouragement, to pick myself up and get on with my life. I don’t think I’d have quit my job as an estate agent to travel the world, and I definitely would never have launched my own freelancing business. I would never have gone to conferences, or met with travel brands, or made friends with so many like minded people. I’m connected with people on Facebook and Twitter who I’ve never met before, but we speak almost every day and I feel as though we have been life long friends. Without my blog, I wouldn’t have had any of this. Over the past three years my blog has genuinely brought me so much happiness, and never once have I experienced any negativity from it, or had anything bring me down. Yes it’s hard work, yes it’s time consuming, yes it’s always going to be judged and it can always be improved, but I can honestly say that every single second, minute and hour that I have put into my blog over these past few years has been totally and utterly worth it. I can’t explain the sheer excitement I feel when I receive a new comment on one of my posts, or when I receive a Facebook message from someone telling me they booked the same trip as me because they read my blog post and couldn’t wait to go. Those feelings won’t ever go away, and they bring me so much joy. I guess I just want to say thank you to all the people who have helped to make this blog a success, because it definitely isn’t just down to little old me! Thank you to my best friends for making me book that trip to Barcelona in the first place. Thank you to my fellow travel blogger friends who continue to motivate me and inspire me everyday. Thank you to my readers who continue to enjoy my posts, and who like following my adventures on my social channels. 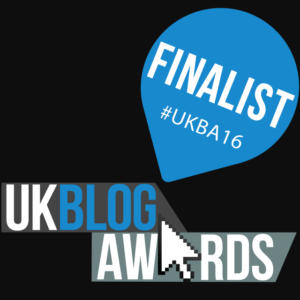 Thank you to all my voters who helped to get me to the top 10 in the UK Blog Awards 2016 – my biggest and best achievement to date. And finally, thank you to my family for continuing to support me in all that I do, and for not constantly moaning at me to get a ‘proper’ job. Thank you for letting me do what I love. It’s been an amazing three years, and what a ride it’s been. Since Journeys with Jessica was launched I have travelled to 9 new countries, visited over 5o new cities and explored 23 US States. Over the next 12 months I will be roaming around Europe and ticking off country after country and city after city as I aim to visit 25 countries before I turn 25 next January. After that, I plan to spend a few months travelling around Australia before returning home next Spring and then deciding what else I want to do with this little life of mine. I still can’t believe it’s been three years, but they have been bloody amazing. If you’re reading this and you’re thinking of starting your own blog my advice is simple – JUST DO IT! Find your niche, throw yourself into it, enjoy every second and you might just change your life. I know mine did, and I wouldn’t swap it for the world. I know I have this constant need to tick off countries, and cities, and my 25:25 challenge is probably to blame for that(!!) but this month I’m feeling the wanderlust more than ever and I just can’t understand why. I’m not complaining, I don’t think I could ever get bored of browsing Skyscanner for their cheapest flights to anywhere, or scrolling through Secret Escapes’ latest newsletter when it lands in my inbox each week. I won’t ever tire of booking those flights, searching for the perfect hotel room and finalising all my travel plans, but I guess I’m just itching to explore all of these places, and I want to see them all NOW! I had my birthday last month and I got sooo many travel related pressies that it made me more determined than ever to up my travel game for 2017. Maybe it’s because I don’t know what I’m doing with my life this year. I’m toying with the idea of doing Camp America (or something similar) for a few months this summer, but I’m also considering doing some resort work abroad, or potentially a placement at Disneyland Paris if I get accepted. I have all these ideas floating around in my head but I just don’t know what to do for the best. Half of me wants to live and work abroad for a few months, just to see what it’s like, but the other half of me wants to continue to base myself at home and travel little and often instead. Do I bite the bullet and go and live in America, or do I stay here and book lots of short city breaks and then just jet off every few weeks? I’ve spoken to my family and friends about it but they’ve just told me that only I can make that decision, it’s just so damn hard! My travel plans for 2017 are well underway and I’ve already got four trips in place for the first part of the year, with Copenhagen, Bratislava, Vienna and Tenerife firmly booked in! I’m so excited to be going to so many new wonderful places, all for the first time, and I’m genuinely looking forward to visiting each and every one of them. I’ve loosely planned an itinerary for exploring Europe this year, and it includes popping over to Slovenia, Croatia, Switzerland, Poland, Germany and Holland to name but a few! Some people have told me I’m trying to do too much too soon, but I’m young and I can afford it so why the hell not! My main goal though is to visit Australia for a month in January 2018 to celebrate my 25th birthday, and I’m aware that I have to save soooo much money if I’m going to be able to afford it, so some of my European dreams may have to wait until after this (boooo). I did speak to my lovely nan on the phone the other day though and she told me to enjoy myself, take time on my travels and explore destinations properly so that I could appreciate it fully. She also told me that I’m never too old to travel, and I can keep on going for as long as I want! My nan and granddad didn’t start travelling until they were in their 40s, and they’ve been to hundreds of places so I know I will continue to travel for as long as I live, but I just can’t help feeling that I want to do it all now! It’s not that I want to get it out the way, I just want to get the big trips out my system so I can then look at getting myself a proper career next year when I come back from Australia. I think I’m just a little confused about what I want at the moment, and where my life is going. I’m currently working two jobs, trying to save as much as possible, whilst balancing my home life, social life and my health. All my friends are in relationships, they have a partner to share their trips with, some of them are married/engaged and have babies or are expecting, and I’m just over here on my own trying to make my life the best it can be. It’s hard, and I’ll be the first to admit that sometimes I wish I had a partner to share things with, to snuggle up to on a Sunday night or to explore the world with one step at a time, but it’s ok, I have myself, I know I’m strong and independent, and I have my amazing friends and family and for that I am so grateful! I’m not trying to turn this post into a rant or a moan, I just feel so overwhelmed with my constant desire to travel at the moment so I’m trying to channel my energy and have things to look forward to whilst trying to cure this ever increasing wanderlust! Have you ever felt the need to travel constantly? Are you not sure where your life is going at the moment? If you’re in the same boat as me PLEASE let me know – let’s talk about it and try and make ourselves feel better – after all, sharing is caring! Starting as I mean to go on… spending the first day of 2017 on the beach was amazing and I think it’s a good omen of things to come this year! Hopefully the next time I’m at the beach it won’t be quite as cold as the one down in Cornwall, but I loved being by the ocean and feeling the wind in my hair. We had such a brilliant time celebrating new years eve down in Cornwall and spending the first couple of days of 2017 there was really special too. A couple of days after I got back from Cornwall I hopped on the coach to London for the day for a bit of post Christmas shopping. I was meeting my lovely friend Amy who was over from Australia, I met her on my Contiki tour last summer and we have remained firm friends ever since! We had a lovely day shopping, lunching and sightseeing and London was looking beautiful in the cold, frosty weather – I already can’t wait to go back in a couple of months! So if you read my New Years Resolutions post you’ll know that one of my aims for this year was to get a part time job and, guess what, I got it in the first week of Jan! It’s only a few hours a week at a local retail store, but I have the option to take on overtime and they’re really flexible so I can work as little or as much as I want as well as running it alongside my freelance business! I’m really pleased to have got the opportunity to start earning a bit of extra cash as well as making new friends and gaining new skills. I ran a Twitter poll to let YOU decide my next adventure! So this is something I had never done before and was a little nervous about but, when I couldn’t decide where to travel to for my next winter city break destination, I decided to run a Twitter poll and let my followers choose my next holiday! I’d narrowed it down to Copenhagen, Riga, Vienna and Tallinn and had been thinking it over for days but couldn’t decide between them all, so that’s where you lot came in! My poll proved quite popular and got lots of people talking and, in the end, Copenhagen came out on top so that’s where I’m off to next! Thank you to everyone who voted and made me decision for me, can’t wait to share my trip with you! Sadly it hasn’t all been fun and games for me this month after I spent all of last week suffering from a horrible virus. I was sent home early from my shift at my part time job as had been feeling really dizzy all day; I had a bad headache, was experiencing terrible back pain and could barely stand up! I went straight to sleep for a few hours when I got home only to wake up feeling boiling hot and then subsequently started vomiting for 5 hours straight! I HATE being sick so this was my worst nightmare and it really took it out of me. My temperature was hitting over 38.5 degrees, I had a raging throat and I was waking up with horrendous night sweats. I didn’t leave my bed or eat anything for days and it took me ages to get over it but on day 6 I finally started to feel a little better and I’m now back to my normal self. On a better note I have just returned from spending the weekend in Liverpool with my amazing family celebrating my sisters birthday – I can’t believe she’s 18! We had the best time seeing lots of family and enjoying each other’s company before having a big sit down meal at the Stanley Restaurant on the Albert Dock, part of the Titanic hotel complex. Liverpool is one of my favourite cities and I always love spending time there, particularly because I get to see all of my family too! So that’s how my month went, and now I’m looking forward to February and my first European adventure of 2017 which will take me to Copenhagen! How did your January turn out? Let me know what you’ve been up to! This is a huge positive, and one I am so happy has turned around for the better. As most of you will know, I suffer with a health condition called a prolactinoma, which is basically a small tumor on the pituitary gland in my brain. My condition seemed to deteriorate throughout 2015, when I was off and on medication and subsequently felt the worst I had ever felt. However, after a few months of yet more blood tests, eye tests and trips to the hospital I am finally in control of my condition and feel the best I ever have! My consultant and I made the decision to go back on my long term medication, and my prolactin levels have finally been lowered meaning my symptoms have disappeared and I am generally feeling much better. Yes I still have crippling headaches and yes I am often poorly, but I’m a million times better than I was last year and I finally feel happier with my health. I last went to the doctors at the end of November, and my next hospital check up is in March, so I’ll have more news then but, for now at least, I’m pleased to report that I’m feeling on top of the world… Long may it continue! On to something less positive now, but it does have a happy ending- promise! Some of you might remember reading about my quarter-life crisis, where this time last year I had a mini breakdown. I was so unhappy with my life; I wasn’t enjoying my job, I didn’t know what I wanted to do or where I wanted to go, and I had this incurable wanderlust that made me want to travel as much as possible, although, at the time, I just didn’t know how to go about it. Then 2016 came along and, all of a sudden, this light-bulb went off in my head and I knew something had to change. On 7th January 2016, after a few hours in my local STA Travel store in Oxford, I made the decision to book an epic Contiki trip across America, from LA to NYC, and I knew that there was no turning back. The following Monday, I handed in my notice at work. I knew that travelling across America would make me more determined than ever to travel as much of this world as I possibly could, and I knew that I couldn’t do it without quitting my 9-5 job. So I did it, I handed in my notice ridiculously early, and I started my final few months at work whilst preparing for America and then, subsequently, deciding what I was going to do when I returned. The start of 2016 saw me take numerous trips to London and Liverpool, as well as little visits to Brighton and Bournemouth too. As you’ll know, June and July saw me travelling throughout America, across 23 states in 28 days and I had the time of my life! I visited over 25 cities, from LA and Vegas to Memphis, New Orleans, Miami and New York. I helicoptered over the Grand Canyon, parasailed over Daytona Beach, road tripped across Route 66, visited the White House in Washington and went ghost hunting in Savannah. I also celebrated 4th July in New York courtesy of my £471 flight change fees (!!!) the craziest, most spontaneous decision I have ever made, but so totally worth it! September saw me travelling across Italy, from Venice to Florence to Rome, and ticking even more off the bucket list. I rode a gondola around the canals of Venice, climbed the Duomo in Florence, wandered round the Collosseum and threw a coin into the Trevi Fountain in Rome. I’m also about to embark on my last trip of the year and will be heading down to St Ives in Cornwall on Thursday ready for some new year celebrations – I’m so excited!! When I returned from America in July I took a month or so off to just completely relax, see friends and spend some quality time with my family. I celebrated my mum and dads 25th wedding anniversary, went to Liverpool for a week to stay with my nan and granddad, and I went to V Fest with my cousins. I wanted to have a month where I just had FUN, lived life and totally let go. I think this was really important for me to do as it gave me perspective on what I actually wanted from life, and what truly made me happy. At the end of September I decided to launch my freelance business as an online virtual assistant, and I’ve never looked back! It’s still early days, but my client base is growing and I’m making enough money from it now to go full time – although the dream is still to be a full time blogger, and I’m hoping I’ll make it there one day! For now though, I’m super happy with my new freelance life and am looking forward to continuing this in 2017. So that’s my little life update. I guess when you think about it, an awful lot has happened in such a short space of time! Aside from the obvious negatives, and the low points, I think that, overall, 2016 turned out to be one of the best years of my life. I had so many highs and ticked SO much off my ever growing bucket-list, and am so much happier now compared to where I was this time last year. Since October I have been freelancing fulltime whilst throwing myself into my blog too. Fast forward to December and I’m still doing both of those things whilst looking forward to seeing what 2017 will bring, and I’m pleased to announce that planning for my European Adventure is well underway… Watch this space!